Egypt is suffering from conflicting legislations governing the economy, hindering foreign investments from moving and local investments from being injected. Until now, the market-exit mechanisms are unclear, and monetary policies are still vague, while taxes remain unstable. 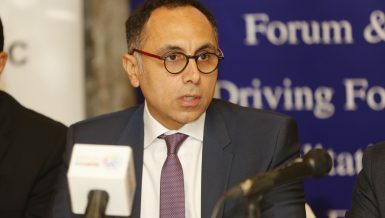 Daily News Egypt met with legal expert Taher El-Khouly, who emphasised that the economic legislation chaos in Egypt is the main reason behind the decline in investments. He stressed the importance of quickly adjusting legislations in order to reassure the international and local business communities. It is not appropriate for a country as large as Egypt to deal with investors without a clear vision or even a law that regulates economic activities, he affirmed. 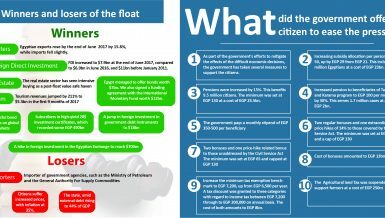 What is your assessment of economic legislations in Egypt? How do you evaluate the Investment Law? Egypt is suffering from excessive chaos in terms of the legislations that regulate economic activities. There must be a clear economic vision that includes an investment map of the country. The state needs an economic compass. Its monetary policy is vague and has hindered investors. Moreover, tax policies are unstable and always confuse the calculations of businesspersons. Egypt is a large country that lacks creative minds and this drove investors away. There are no quick mechanisms to ensure a quick exit from the Egyptian market. The focus right now is on facilitating the procedures of entry and starting the economic activity. This mainly includes establishing companies and obtaining land and energy to operate businesses, which has not been successful so far. Investors are suffering from the impossible transfer of their profits out of Egypt. Investors will not enter a country without knowing how to exit. What about the Investment Law and its modifications? 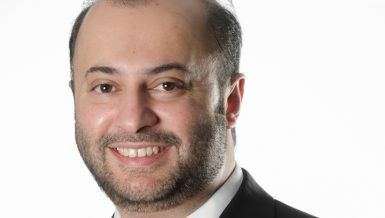 Does it make sense for a country as large as Egypt, which also claims to call for investments, to carry out modifications to the Investment Law right before the economic conference held in March 2015, and to then present the law to investors moments before signing memorandums of understanding (MoUs)? 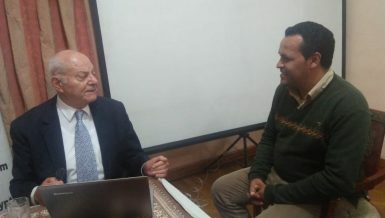 Egypt was supposed to send the final Investment Law with the invitations to the conference so businesspersons can look at it and get introduced to Egypt’s monetary, tax, and investment policies in order to make investment decisions and prevent investment disputes that plague the country. The Investment Law is full of ridiculous flaws, like the legislative vacuum regarding Egypt’s free zones with 2,400 involved companies. The law said nothing about regulating business in free zones. International countries are still finding it difficult to renew their licences to operate with the free zone system. The law has not specified the agency that is supposed to enforce the Investment Law until now. The law is lost between the Investment Ministry, the General Authority for Investment and Free Zones (GAFI), and the Ministry of Industry and Trade. There are serious conflicts about each agency’s authority over lands, which will certainly hinder the enforcement of the one-stop shop system. 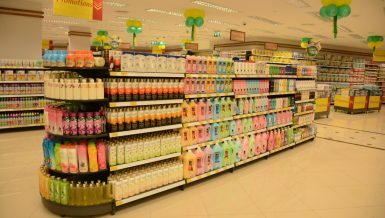 Will we get to see the one-stop shop system in Egypt? There is no problem in importing the project of a law that regulates the one-stop shop system from a country that managed to enforce it well. But these pointless trials in Egypt will not lead to any form of development and will hinder us from applying the one-stop shop system. Applying an effective one-stop shop system reduces the chances of investment disputes in the future, and will be a productive mechanism for providing more funds and investments, which is the main creator of employment opportunities. Poor management and bad choices are the main reasons behind disabling the one-stop shop so far. The Egyptian administration is not taking this step seriously, and left it up to employees and bureaucracy. Egypt’s real problem is that the law is not applied to everyone. Why do Egyptians abide by the law abroad? Because the laws are applied to everyone. 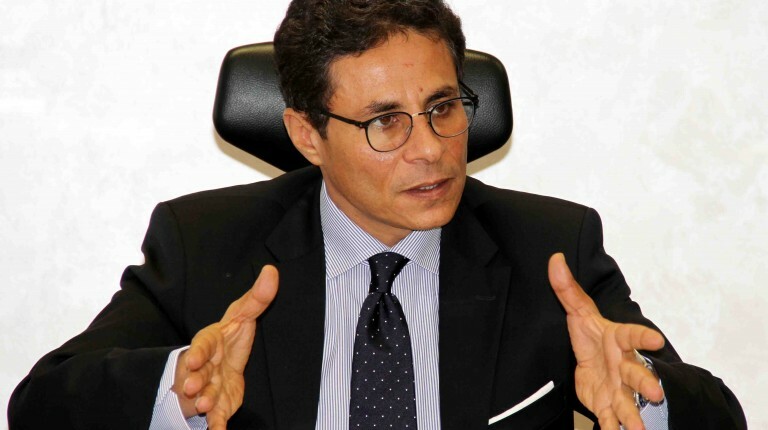 Egypt has appointed eight investment ministers in less than four years—does that make sense? Is this a country that has a vision for investment? GAFI’s board still consists of employees who impede the development of economic activity. GAFI must be headed by the prime minister. 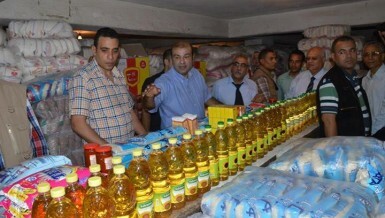 Egypt is counting on subsidies and foreign aid, which worsens the economic situation. The Egyptian economy must turn into a real, productive, manufacturing economy that is able to export. Do you have solutions to bypass the US dollar problem? Egypt is currently a home to roughly 2 million foreigners—Syrian, Libyan, and Iraqi employees share the basic water and support services with all Egyptians. Why don’t we make amendments to allow the minister of interior to grant foreigners a residency for $3,000 annually? 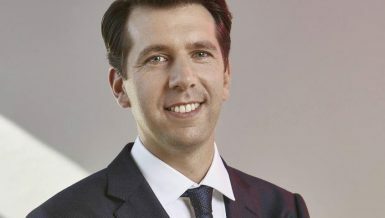 Allocating $3,000 a year from 2 million foreigners provides the country’s treasury with $6bn a year. Granting residency to foreigners will help in monitoring their economic activities, and subject them to taxes. 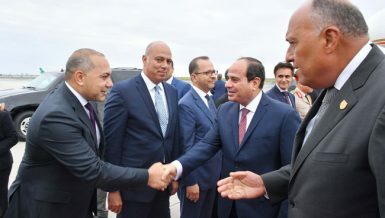 This step will provide substantial US dollar resources to Egypt at a time of severe foreign currency shortage, given the decline of tourism and investment. Having two prices for the US dollar—one in the official and another one in the unofficial market—is a disaster, and we must urgently provide the currency in order to minimise that gap. An investor will not inject any funds as long as the foreign exchange market is not adjusted. The state’s rivalry to the private sector is an outdated economic approach, but in Egypt we still see that the ‘mum-and-dad’-state has to produce, monitor, and regulate. The situation will never be correct unless we give the private sector the freedom to work under the state’s control and regulation. What do you think about the Competition Law? The law is an official admission from the state that it failed to protect the markets from monopolies over the past years. Also, it has not been placed in a proper framework and is not integrated with the current legislative system. This law was imported to Egypt and added nothing to the country’s economy so far. The current Investment Law includes an article that allows burying harmful waste coming from abroad in Egyptian soil, and at the same time we disrupt the plans of businesspersons because of environmental stipulations or unsuitability. Economic legislation in Egypt is not final so far, and is still suffering from legislative diarrhoea. The Investment Law’s executive regulations were issued a year and a half after the law—it doesn’t make any sense. What do you think about the Value-Added Tax (VAT) Law? I completely agree with the VAT Law, but I reject its application now because the inflation rate is currently at its highest level, and the new law will add more burden to the citizens. They cannot bear all that. Egypt suffers from instability in its tax policy. The state surprises investors with new taxes. Is it logical that the government increases the tax rate in economic zones to 25% instead of 10%? 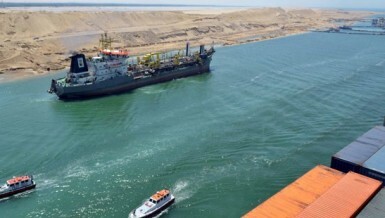 We expect Egypt to attract huge investments in the Suez Canal Economic Zone. I definitely support the Civil Service Law to adjust the imbalances and deterioration in the state’s administrative system, and I call on the parliament to approve it so it can be implemented as soon as possible. Corruption in municipalities triggered violent resistance against reforms or the application of the Civil Service Law. How can we increase the efficiency of the state’s administrative system? Egypt has about 7.5 million government employees hindering work and increasing corruption rates. My opinion is that the government should dismiss the majority of its unproductive employees and give them their full salaries. This will give young people who produce more and have imagination, creativity, and innovation a chance to contribute to the development of the outdated administration system, in which corruption has nested during the past years. Enough with the outdated ideas of socialism that ruined the country, such as the state giving you food and water and paying for the marriage of your sons and daughters. We have to start relying on ourselves and facilitate the procedures of starting private businesses for young people and obtaining financing from banks, which will reduce unemployment rates. 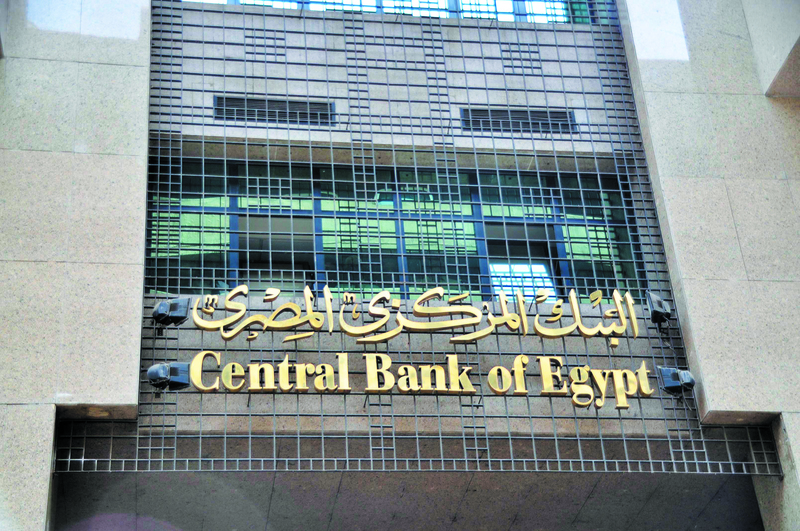 What are the latest developments in the case of the National Bank of Egypt sale, in which Gamal and Alaa Mubarak are accused? This was the first case that was filed after the 25 January Revolution. Current member of parliament Mustafa Bakry filed the complaint at 10am in the morning after former president Hosni Mubarak stepped down. We have not presented our defence so far. We are suffering from slow litigation in the case and we are ready to plead. The position of our clients in the case is strong. As a lawyer, do you think using legal loopholes is a sign of cleverness or crime and circumvention? Absolute cleverness, because the lawyer in such a case works in accordance with the text of the law and there is no problem with that. How did you see the rulings that acquitted the figures of the Mubarak-regime? The investigations were conducted regularly. The acquittals came as a result of chaotic accusations, but I see these figures as not guilty, according to the text of the law. Is the economic legislation in Egypt guilty or a victim of the legislator’s abuse and weakness? The economic legislation is guilty regarding the deterioration of the current economic situation, not a victim. Egypt has no economic legislator now. How do you assess the way the state has dealt with former head of the Central Auditing Organization Hisham Geneina? 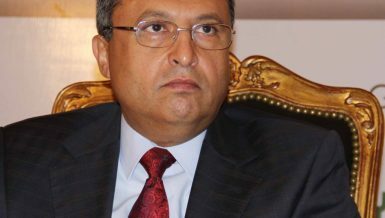 Geneina definitely misjudged when he declared that the corruption bill amounts to EGP 600bn. 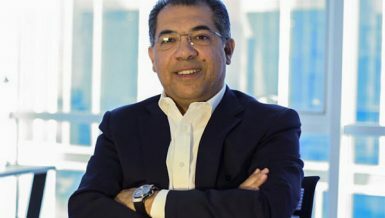 He stated that at a dangerous time because it shakes the confidence of international institutions in the Egyptian economy, especially since the statement came from the head of the Central Auditing Organization.